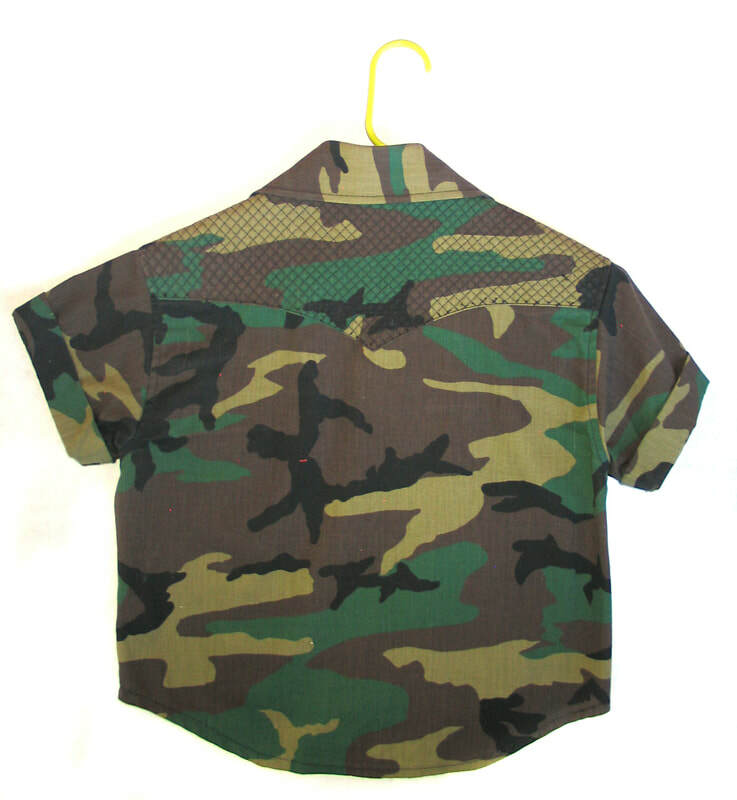 Classic army camo pattern with greens, black, and brown. This shirt hits right at the belly button with the back a couple inches longer. 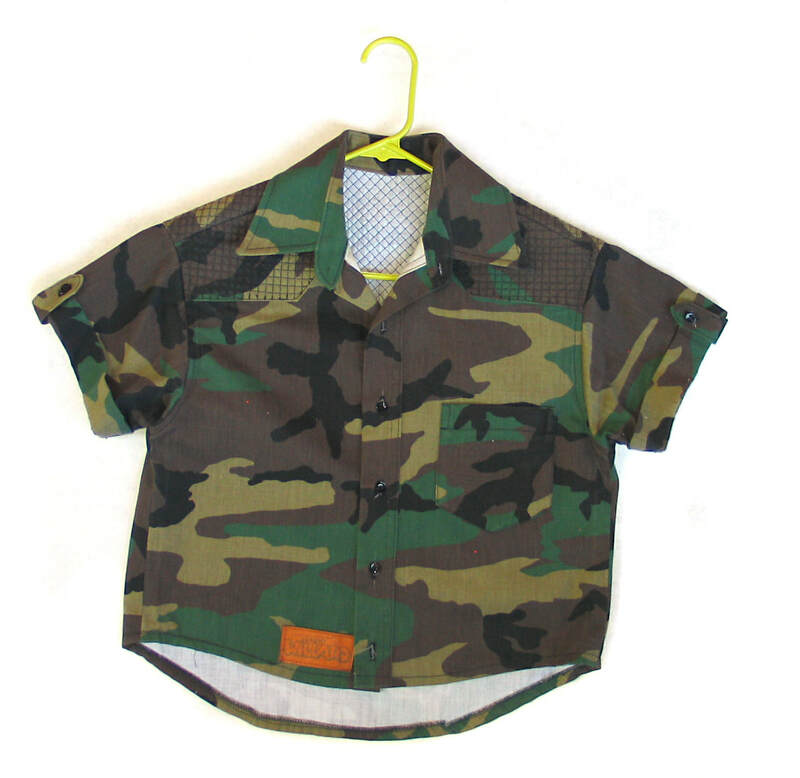 ***Machine washable, although the leather label could warp. If that concerns you, hand washing or dry cleaning is recommended.